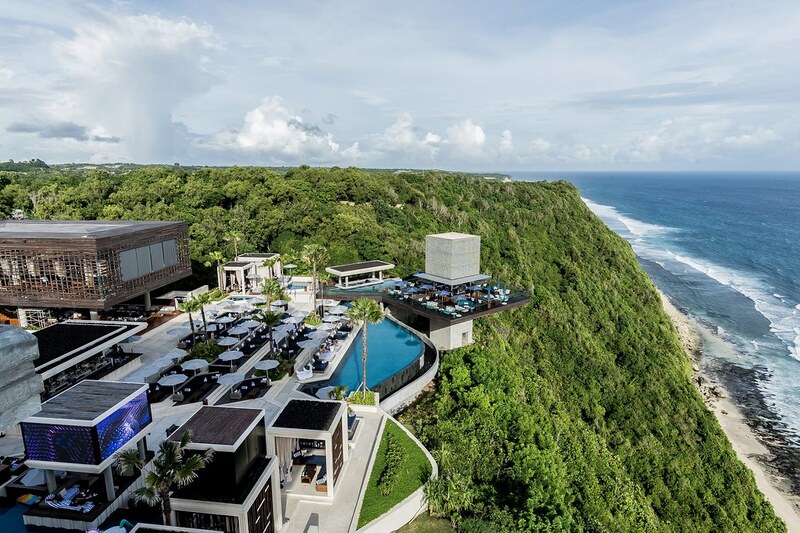 Opened since February 2, 2018 ago, the Bali Omnia Dayclub located in Uluwatu is a widening of the Omnia Nightclub in Las Vegas, and is under the Hakkasan Group. Hakkasan itself is a renowned hospitality group, named the same as the Michelin star restaurant which became their first brand. Hakkasan Group has opened various restaurants and entertainment venues in the United States, Europe, Middle East and Asia. A very distinctive element of the Omnia Dayclub is The Cube, a giant crystal box located above the bar and a signature of this place. The bar is above the infinity pool, with a position at the edge of the cliff and overlooking the vast Indian Ocean. This position makes The Cube a center of attention in every photo of this place, creating a spectacular view. The shape of The Cube itself is a representation of the crystal chandelier at Omnia Las Vegas, which is also a signature at the place. Here are the popular attractions that are closest to Omnia Day Club Bali. Where you can choose to see nearby objects or activities that you might know and like. If you have interest to Omnia Day Club Bali, you can freely add it as reference to your Bali Tours future plan.